Practice on the Future tenses. Two passges about cities and trips. First exercise: will, be going to and Present Continuous. 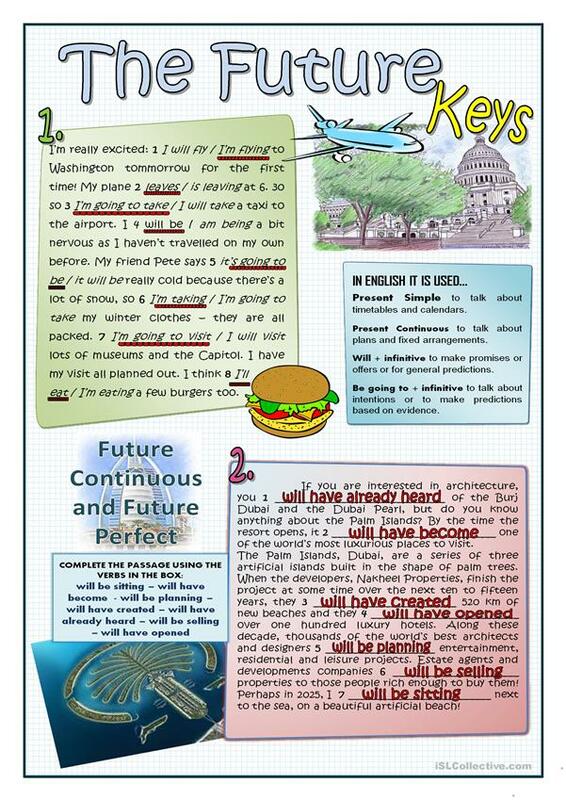 Second exercise: Future Perfect and Future Continuos. This downloadable printable is best suited for high school students and adults at Pre-intermediate (A2) and Intermediate (B1) level. It is a useful material for practising Future tenses in English, and is a valuable material for improving your pupils' Reading skills. It is focused on the topic and words of Holidays. You will find the solution at the end of the worksheet.